Blog of a new RPGer | I've been reading RPGs for years! Follow my progress as i plummet into playing them for the first time. Are you excited about the next iteration? Or will your group continue to enjoy the edition you’re currently playing? 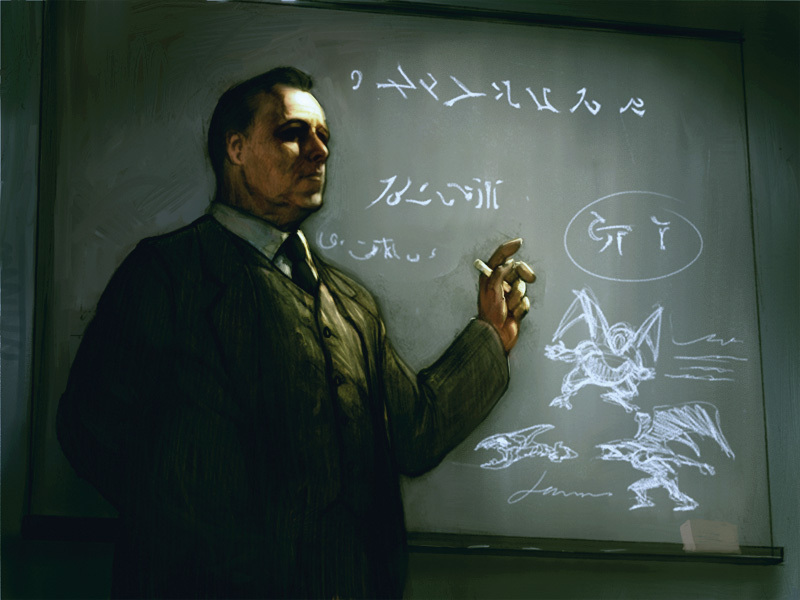 Madness at Miskatonic is a free mini campaign for Call of Cthulhu. It’s free and awesome, two of my favourite things. There a a few minor errors involving spelling etc, but the author is working on those for an upcoming version. It’s perfectly playable the way it is, ENJOY! Movie Mashup 24hr RPG Contest: Entries so far! 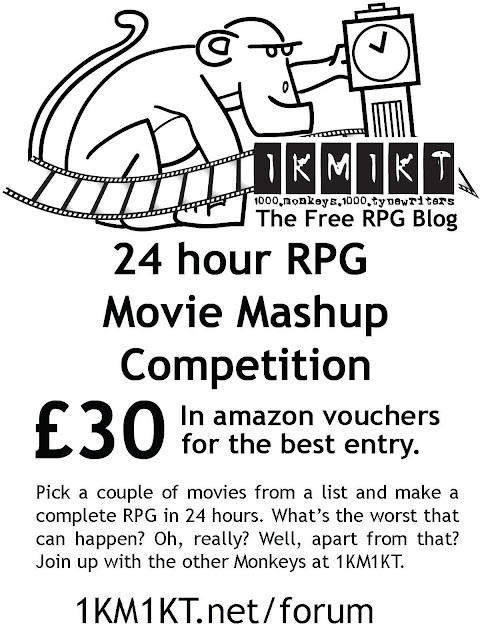 The 24 Hour RPG Movie Mashup Competition! 2. Post on 24 Hour RPG forum which two films you’ve chosen. 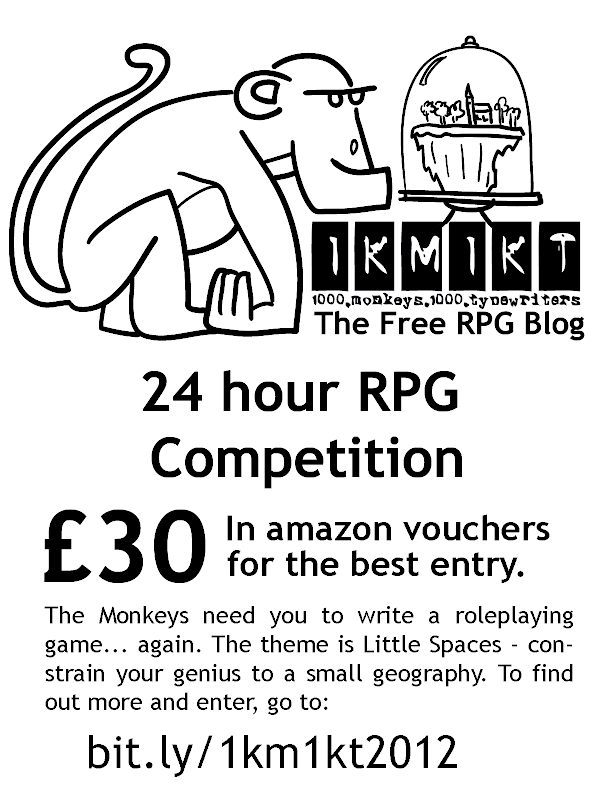 …to find out who the winner is, or check here on The Free RPG Blog. That’s a shame, we might run another competition soon. If you wrote a 24 hour RPG but didn’t get it in before 00:00 GMT 1st June 2011 then we’d still like to see it. Noticed the flurry of games added to 1km1kt lately? Want to find out more? You’re in luck! Ron Edwards is running “The Ronnies” again. Round 1 is over. Round 2 is underway! This list will be continually updated as entries are uploaded to 1km1kt, so keep coming back for more 24hr RPG goodies. I’m really happy with the number of entries, the quality is fantastic. I will post a review about each game after judging finishes, starting with the winner of course. Why not download these games and tell us what you think. 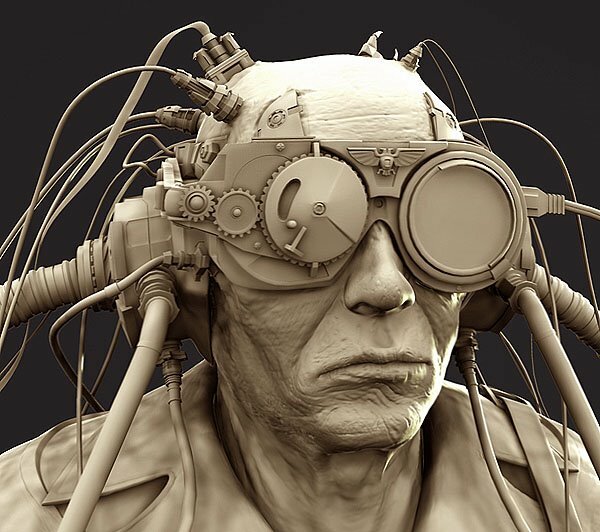 The Cyberpunk Revival Project is a contest I started over on 1km1kt. The whole idea grew out of an extesnive discussion some of the regulars were having about the genre and the modern directions it’s been taking. We felt cyberpunk was poorly represented in pen and paper roleplaying games. The gauntlet was dropped, the challange was raised, SAVE CYBERPUNK RPGs! Submissions are firing in now, and the standard is of the usual high calibre. Why not checkout http://www.1km1kt.net/community and see what’s happening. Perhaps you are a masichistic maniac and want to write on before the submission deadline. You’re more than welcome to try! Entrys after the deadline are welcome, but NOT eligable for the £30 cash prize. I started the 1km1kt Cyberpunk revival contest back in January. I’d half convinced myself no one would enter and the whole thing would sink into obscurity. I wasn’t expecting so many really great ideas. See I told you, there are smart people on the internet mother! I’m very impressed with the quality of the ideas and W.I.P.s shared so far on the forum. Well done monkeys! 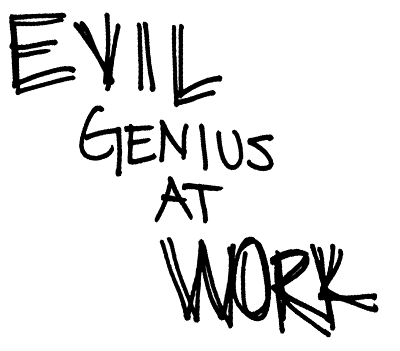 As of 0930(GMT) on April the 16th we have an amazing 22 announced entries. If you want to contribute there is 10 weeks to get that idea written down. You could win the 1km1kt cash prize! If you want to enter but don’t like forums. Don’t worry. Read the rules, Write your game, then submit your masterpiece to 1km1kt. You’ll still be eligible for the cash prize. Two months into the Cyberpunk Revival Contest, 3 to go! I’m really looking forward to reading these. I just hope we can keep the momentum we’ve built up!